Since working in both beauty and the alc0h0l industries, I know that both industries keep track of one another… That’s why I like Adorada Wines. Taking its cues from the sensorial ritual of dabbing a fragrance on the wrist, newcomer Adorada debuted across the country with two exquisitely aromatic wines: Adorada Rosé and Adorada Pinot Gris. Each bottle is finished with a luxurious draping of wax, creating a sleek aesthetic reminiscent of classic perfume bottles. 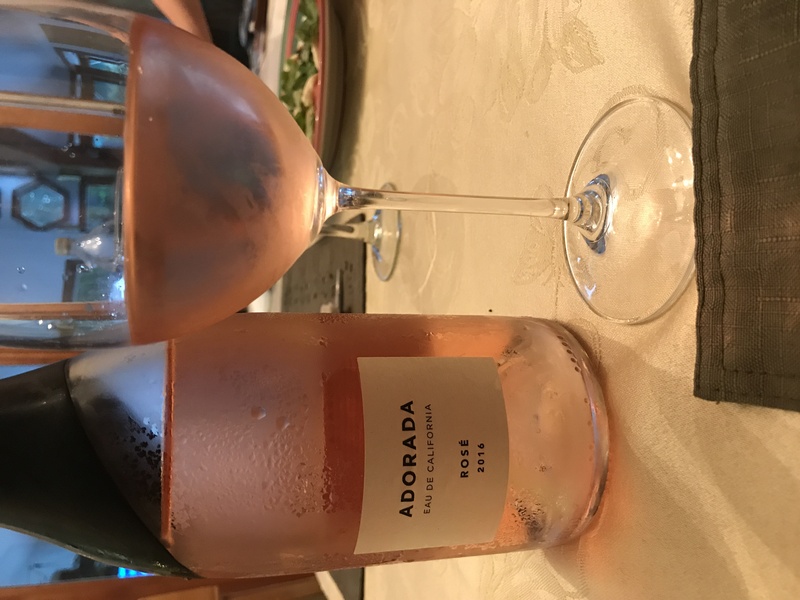 Adorada Rosé is a delicate pink wine with alluring scents of spice and ginger, intermingled with strawberry and antique red rose aromas. The palate is lightly sweet, with juicy watermelon and honeycomb flavors, framed by a zesty hint of white pepper (SRP: $19.99). Adorada Pinot Gris opens with fragrant Gravenstein apple, Bartlett pear and honeysuckle aromas. A palate of orange blossom, orange zest, lemon and honey dew melon is underscored by a hint of delicate sweetness (SRP: $19.99). Offered in statement-making bottles, the unique wines of Adorada are individually hand-sealed with signature black wax and finished with a pristine pearl-white label.